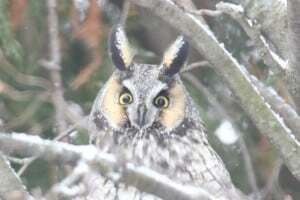 I just got back from Florida and was getting some wood from the wood pile where I found the carcass of a Long-eared Owl. 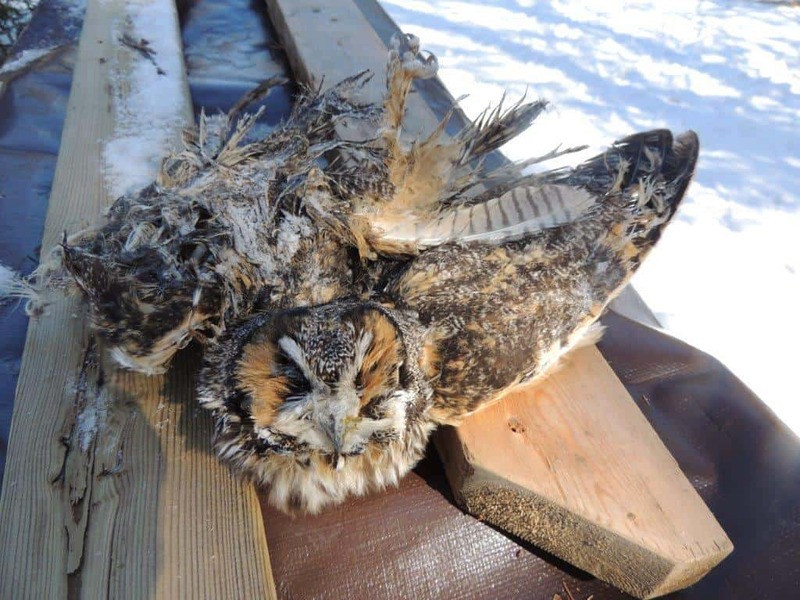 Looking at the condition of the carcass, it appears the bird may have starved to death. On the morning of January 3, I had a Long-eared Owl in my backyard. The bird was perched in a mountain-ash close to my feeders. It may have been attracted by the bird activity at the feeder. 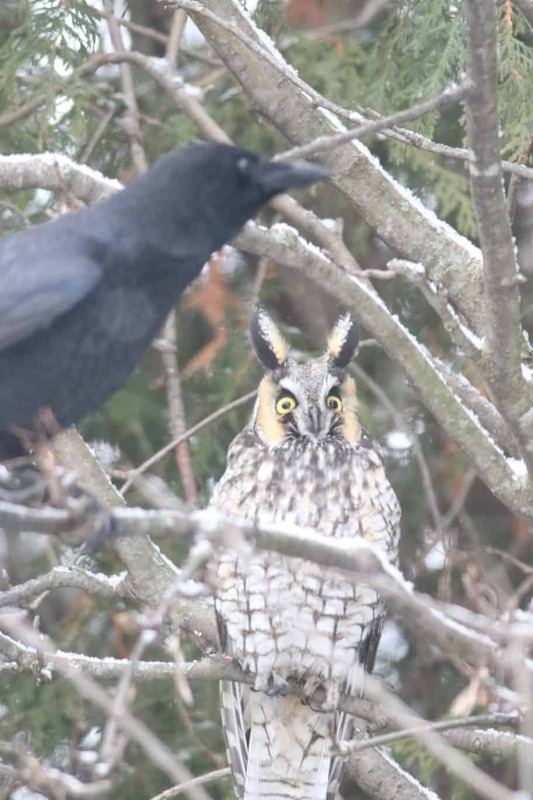 Long-ears will prey on other birds. 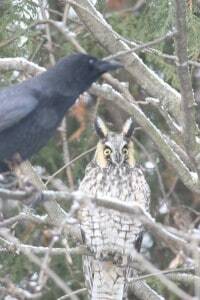 The owl stayed for about 45 minutes, before crows drove it away. I was able to get some pictures of this uncommon species (see below). 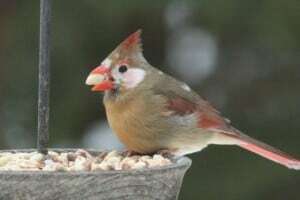 By the way, I still have a leucistic female cardinal coming to the feeder. It has a white patch on each side of the head.